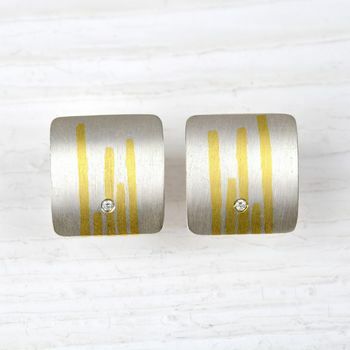 A slick and modern handmade silver and finegold pair of earrings set with brilliant cut diamonds. A beautiful piece of modern jewellery. 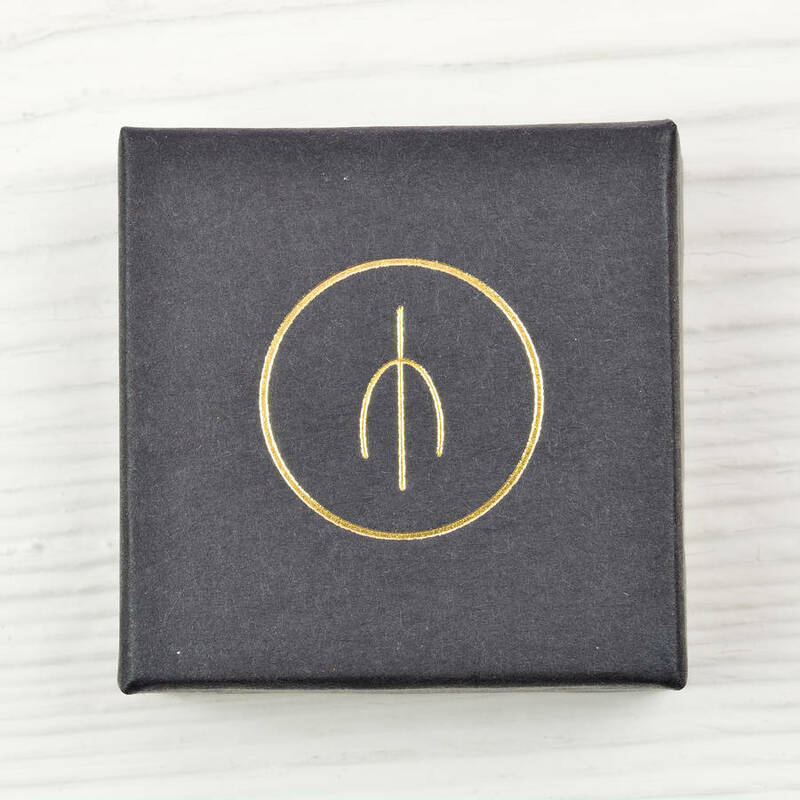 A very stylish pair of earrings, perfect for the discerning jewellery lover. The little brilliant cut diamonds are flush set into the surface of the silver, which has been fused with strips of finegold. For maximum comfort, the earring posts are made from solid 18ct rosegold. 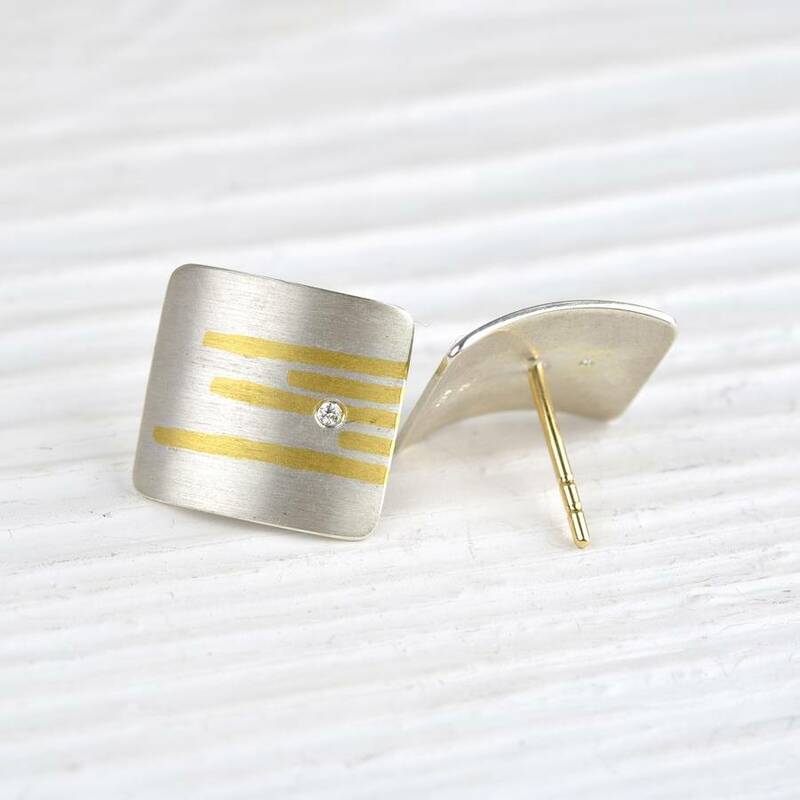 A quality pair of earrings, which sit very comfortably on the ear. Complete with sterling silver butterlies. The design is influenced by the jewellery styles popular in the artisan goldsmiths of Europe. They can be worn for special occasions or everyday. The earrings were made entirely by hand using traditional goldsmithing methods. They are made from Sterling silver, fine gold (24ct) and 18ct rose gold, set with two 0.01 carat brilliant cut diamonds. Jewellery can be cleaned using a toothbrush and soapy water. The diamonds measure 1.3mm in diameter.